Kiama Cricket Club Life Member, and outstanding person, Bill Leyshon, passed away on July 22, aged 88 years. Bill was a tireless worker for our Club during the 1960's and 1970's, and played a lot of 1st and 2nd Grade cricket for us. I had the chance on a couple of occasions to chat with him about those days, and he was so enthusiastic about our Club. He was the 'original' historian. Those that remember the first presentation night we had at the Bowlo may remember Bill, who spoke for about 10 minutes on the night. He was a terrific bloke, gentle and engaging. He continued to make donations to the Club for awards, and he is immortalised with the Bill Leyshon Fielding Award because of his generosity. From all reports he was as fine a fieldsman as the Club had in his day. Unfortunately we never got the chance to sit down and do a video interview as we had promised to do, which is a great tragedy. To his wife Joan and his children (two of whom, Peter and Glyn played for Kiama) and grandchildren, we pass on our greatest sympathies. Finally got around to seeing this, and it was well worth the wait! Daniel Craig - and the writer and director of course - make this new James Bond a more realistic figure, and a character much closer to the original vision in Ian Fleming's novels. Not only was he a harder character, he also made errors, something that is rarely seen in many Bond films. The best sign of a good film is that you look up at the end wondering where the time has gone - at almost two and a half hours, Casino Royale doesn't give you a chance to wonder how much longer the film has to go. 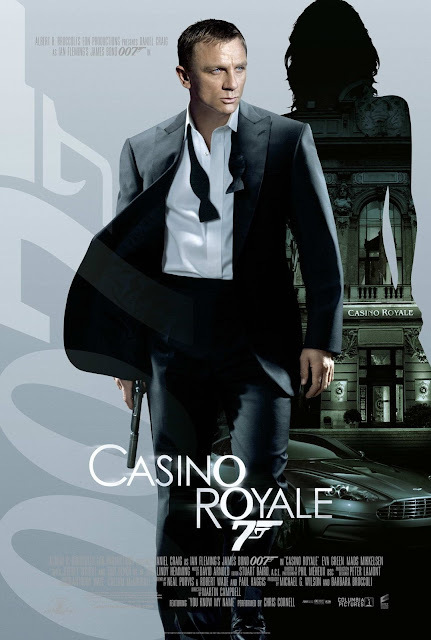 This is immediately one of the best five 007 films made. It is extremely impressive. I could quite easily sit down again right now and watch it again for all the things I probably missed on the first viewing, and that's a fairly big compliment. Daniel Craig take a bow. I can't wait for the next film now. I rate it as 4.5/5. Watched this this morning while cleaning and looking after two girls (Maddi was finally asleep after her night of crying...). 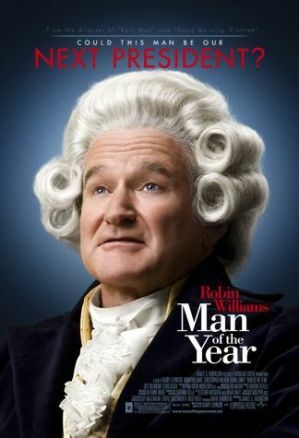 Starring Robin Williams as... well... Robin Williams, I really enjoyed it. I thought it was going to be the normal average run-of-the-mill upstart-becomes-an-improbable-President story, but it was much more than that. While not only pointing out to the watching public the folly that is made of American (and world) politics, and how interest groups are really running the agenda, it also included a major part of the storyline where computer gliches actually elected the wrong man to the position. Robin Williams was great again. I just don't understand why this didn't receive a wider release (I didn't even know about it until Mum lent it to me a month ago). Well worth a watch. Maddi was up again all last night, meaning little sleep for two very tired parents. As such, I forewent work again (not pleasing the boss in the process), allowing Helen to catch up with the sleep she needs at this stage. So I was up with Maddi at 6am, which was also the time Jess decided to wake up. Joy. Joy. Joy. Maddi's temperature at least appears to be lowering ever so slightly, so perhaps today will be the healing day. What do you do when you have two sick children and a wife who is 24 weeks pregnant and overtired? Well, you stay home from work to look after them all, and end up doing three times the amount of work you would have done, and not get paid a cent for it!! Where is the justice?! Fortunately, all appear to be on the improve. Maddi has been good most of the afternoon, pretty much back to normal after her 5th dose of Nurofen in 24 hours. No more whinging or temperature. Jess slept most of the afternoon away, and although she hasn't got all of her energy back yet she is much better. Helen had a snooze this arvo, and as I did all the housework and washing and cooking and stuff she hasn't had to extend herself, as she seems good too. 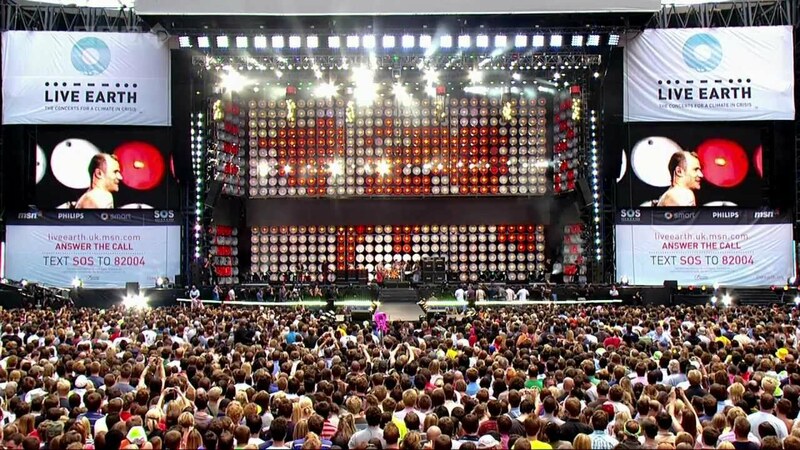 Just to relive the crap that was Live Earth. So you spend the whole weekend, waiting for bands to come up on Live Earth, hoping for something special from all of them, and hoping they do it all justice. Bon Jovi was the best of them, but they have always been good at these kind of events. "Livin' On A Prayer" is still a great anthem. Metallica played the same three songs they always play at these kind of things - the same three they played at Wembley at the Freddie Mercury Tribute concert. They were OK, but with the catalogue they have surely they could have extended themselves. Spinal Tap were disappointing. OK, getting everyone up for Big Bottom, and pronouncing they had "every bass player in history" with them was a tad amusing, but they really could have done something special, and in the long run it was flat. And The Police were rubbish! Why did they feel as though they had to play their songs, and extend them with meaningless artsy-fartsy instrumental breaks, with Sting meowing over the top? Did they think that was what everyone wanted to hear?!? And then those two other losers came on, and let's rap through "Message In A Bottle"? WHY?!?! 28 hours I waited for The Police, and I got a Sting Benefit Band. So that was the weekend gone.